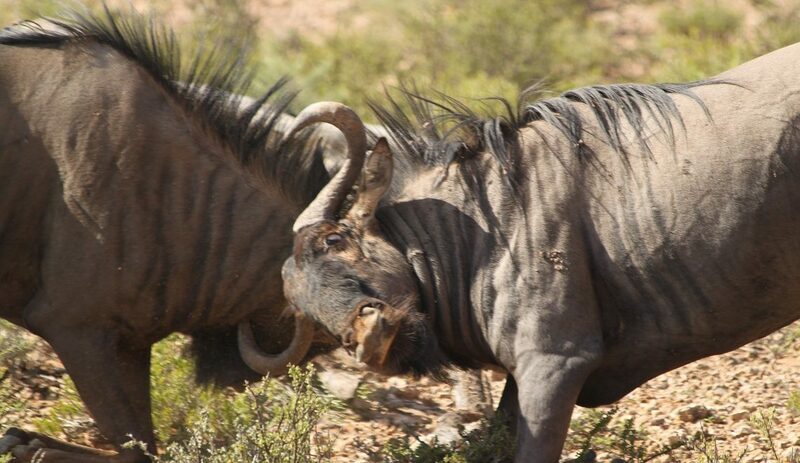 When the De Wet family arrived at the Kgalagadi Transfrontier Park’s Mata-Mata Rest Camp, they were blissfully unaware of a strange spectacle unfolding inside camp. That was until nine-year-old Joubert grabbed his camera to do some sightseeing. “We had just arrived at Mata-Mata – we were still busy unloading the car – when Joubert dashed for the camp, camera in hand. 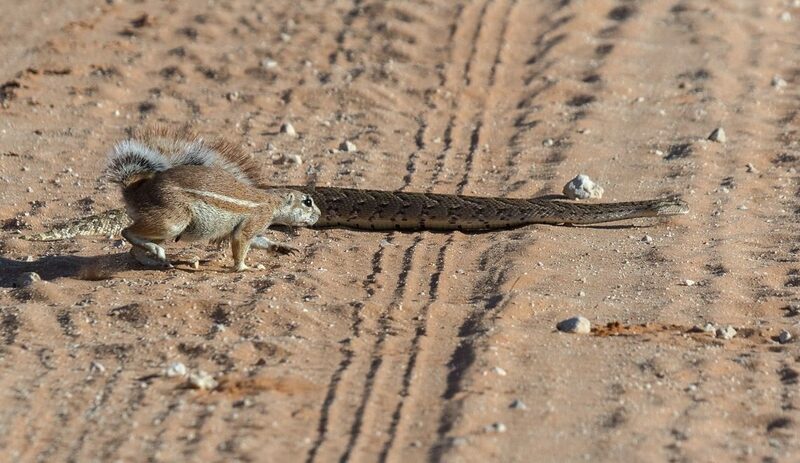 Before long, he’d come across a few ground squirrels feeding,” says Dries de Wet, Joubert’s father. 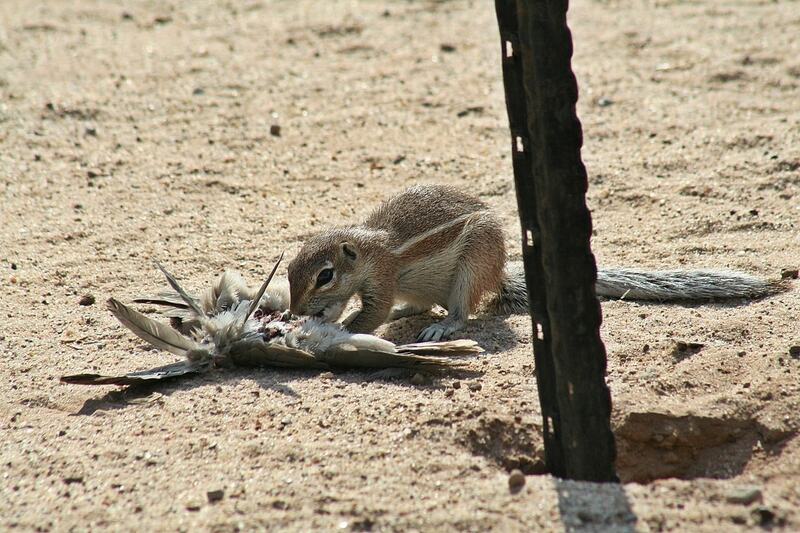 But the ground squirrels weren’t tucking into their usual fare of seeds, berries, flowers or bulbs. Instead they were feeding on the carcass of a Cape turtle dove. 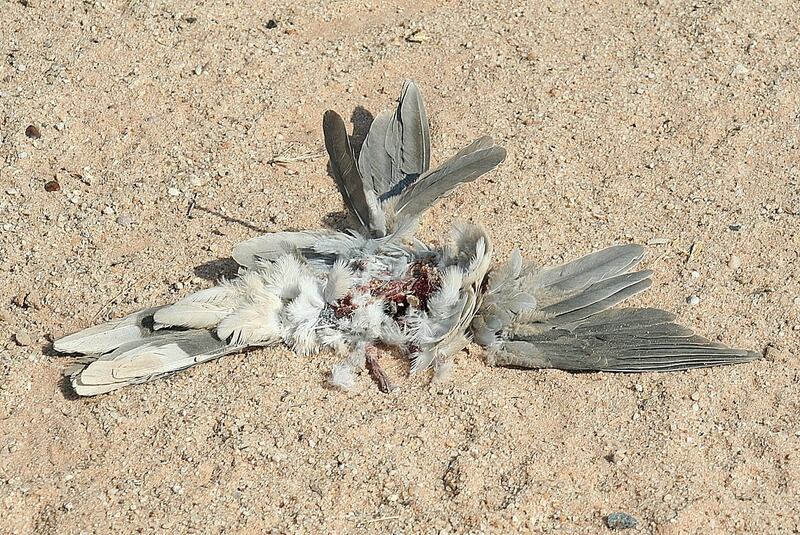 While it isn’t clear how the dove succumbed, there is no doubt it made for an ample meal. Joubert had captured some really fascinating behaviour. “None of the literature we consulted gave any indication that ground squirrels eat meat, other than insects, of course,” says Dries. Joubert was only eight weeks old when he first visited the Kruger National Park. For his eighth birthday, his uncle Niel gave him “a proper Canon DSLR”. “This was my very first visit to the Kgalagadi,” says Joubert. “I told Mom and Dad I have two wishes: for Dad to get the car stuck in thick sand, and to see a Kgalagadi lion. Both happened five minutes apart. 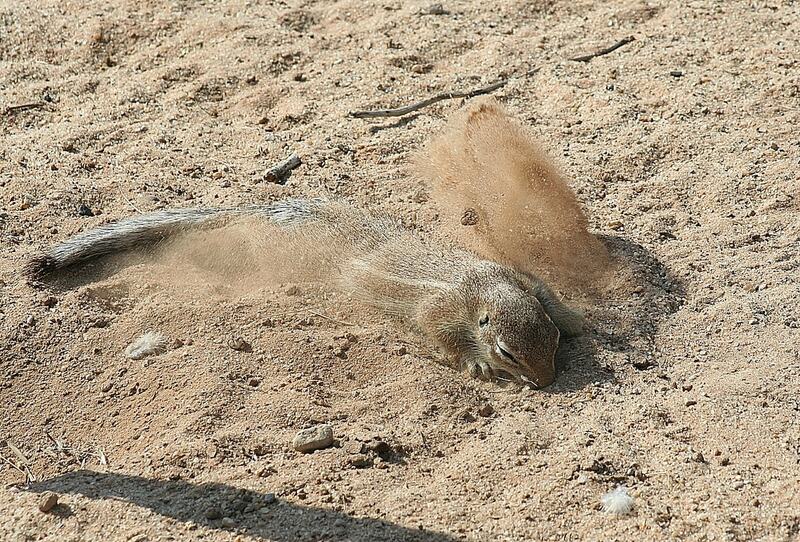 When I showed the squirrel pictures to my friend, they said it looked gross,” recounts Joubert. 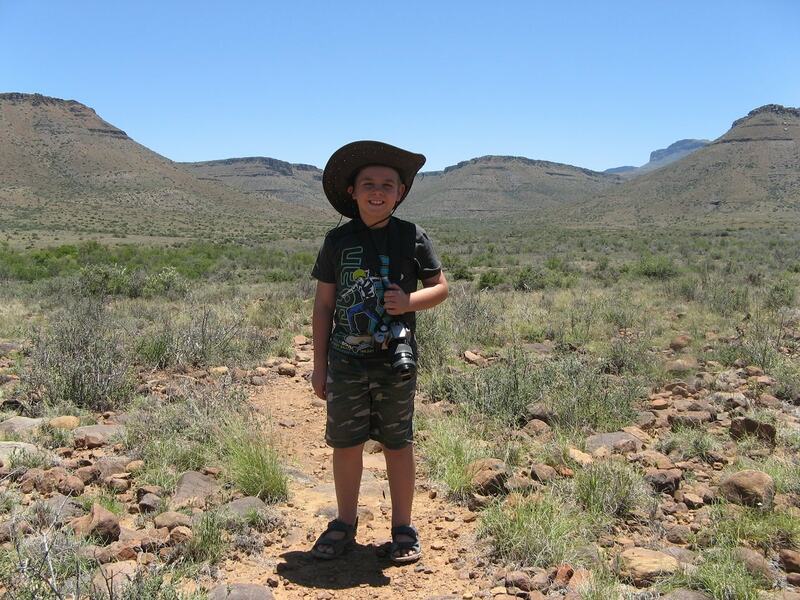 Joubert and his camera at Karoo National Park. Ask Joubert about a future career and he quickly answers: “A tour and field guide.” Either way, we think Joubert is a talented photographer in the making. 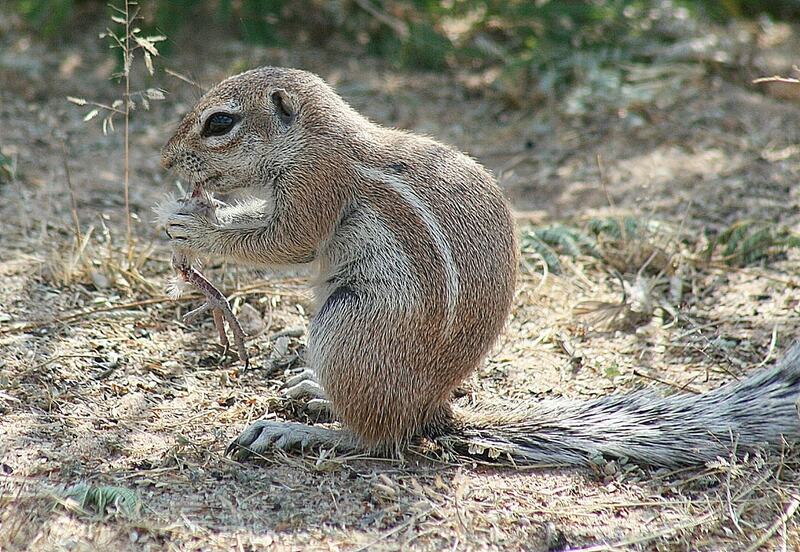 South African ground squirrels are the largest squirrel species found in southern Africa. A female can give birth to up to three litters per year. They use their long and bushy tales as umbrellas to shade them from the sun. Males and females live in separate groups. 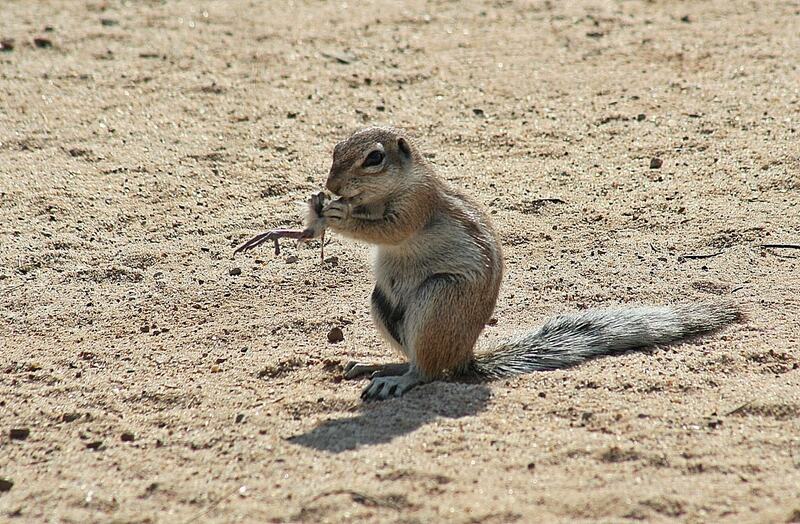 Back in 2014, Wild magazine editor Romi Boom sighted a ground squirrel snacking on a lizard. Click here to read more. Additional source: Smithers’ Mammals of Southern Africa – A Field Guide. Revised and updated by Peter Apps. Struik Nature. 2012. Well done young man – fabulous and very interesting photos! Wow! I had no idea! What a treat to be able to have captured that and such beautiful photographs. Well done and keep on enjoying our beautiful wildlife and country. That’s one for the books! You could also submit it to 50/50’s Veldfocus! Oh wow news to me that squirrels eat meat ! Great find and great photos !! Wow what a sighting, the wild life is the love of my life, I could spend hours just watching them, Huge Medium,Small or Tiny no matter what. To me they are all just too interesting to overlook.